Welcome back to Rotten Ink, friends and readers. 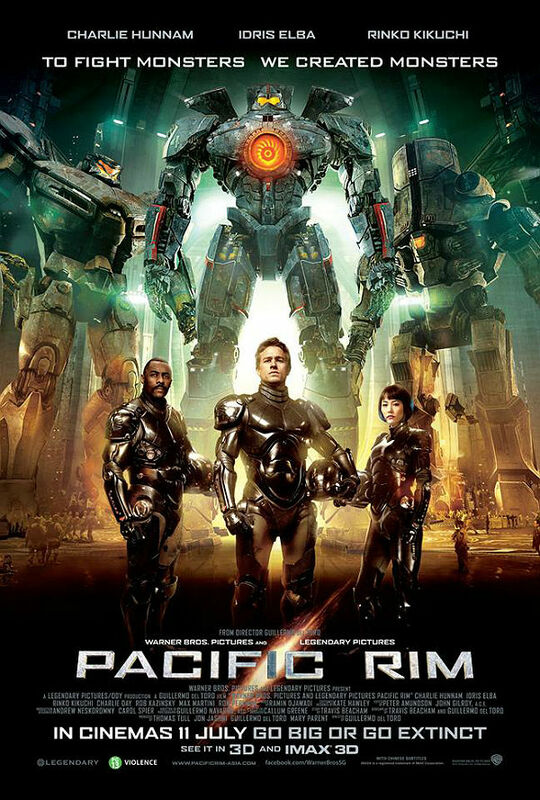 This month at your local cinema, the second film in the Pacific Rim series called “Pacific Rim Uprising” will be released and once more has giant robots taking on Kaiju in order to save the world from destruction. 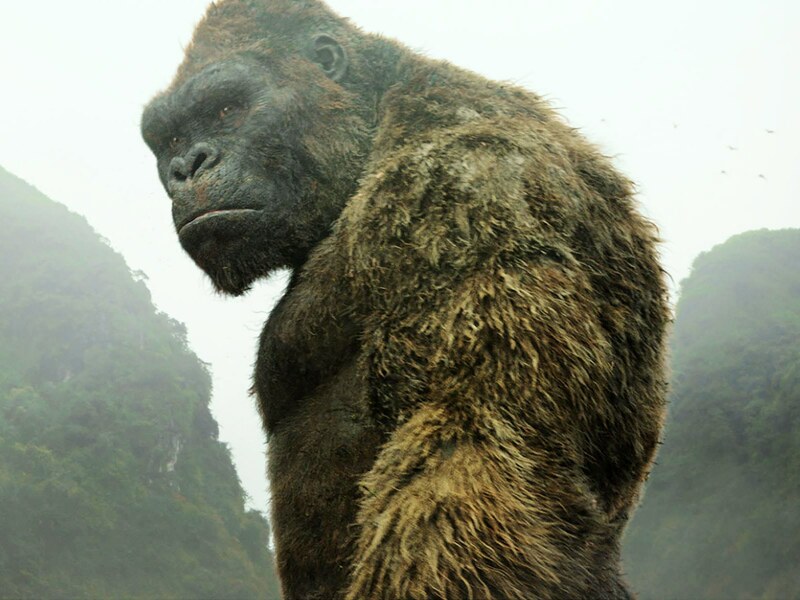 This film series is a part of the Legendary Pictures Monsterverse world, making these characters in the same world as King Kong and Godzilla! This update will be a quick one and will just add to the excitement of the film’s release. So let’s climb into this giant robot made out of old metal mop buckets and Campbell soup cans and get war ready to fight the giant Kaiju and save this blog from their invasion. 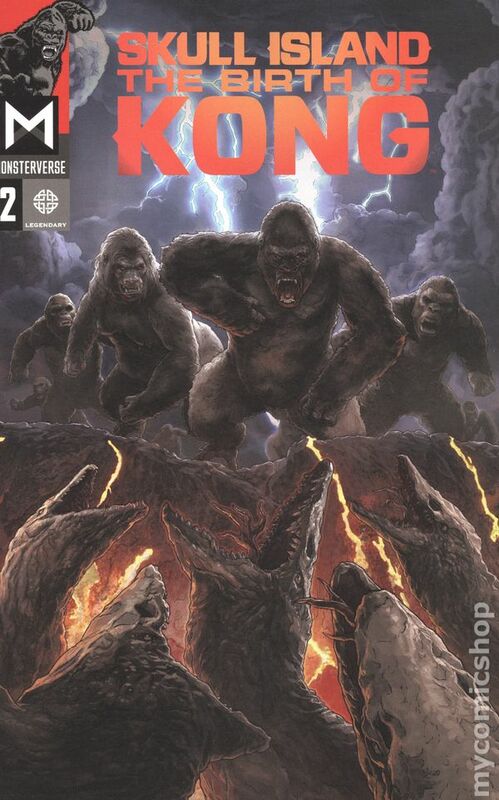 So before we dive too deep into the world of fighting giant monsters with giant robots, we should first take a look at the first film that not only inspired the sequel now in theaters but also the comic mini series that we will be reviewing today. I will be taking the movie’s plot from the good folks at IMDB, and after, I will give my thoughts about seeing the film in the theater and the impact it has had on my friend Jeremy Hoyt! 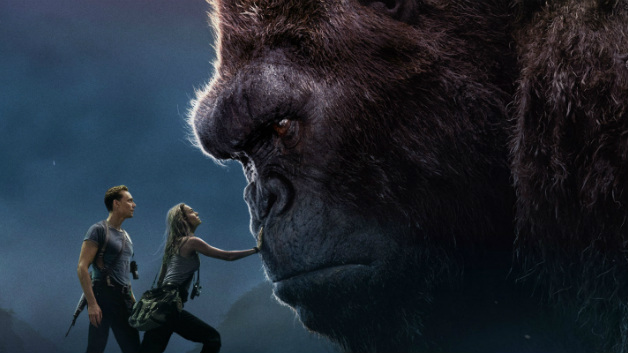 When this movie’s trailer first appeared at the theaters and on the internet, I was pretty hyped for it as I love giant monster movies and wanted to see what this film had to offer in the way of destruction and creature designs. And while I enjoy giant robots, I am not a fanatic about them nor am I a super fan of the film work of Guillermo del Toro who I find good but not fantastic like many of my friends do. I went into the theater with an open mind, armed with a blue ICEE and a medium popcorn, and was ready to watch giant robots fight giant monsters alongside my pal Josh Weinberg. After watching the movie, I can remember both Josh and I just thinking that the movie was entertaining but nothing too special. 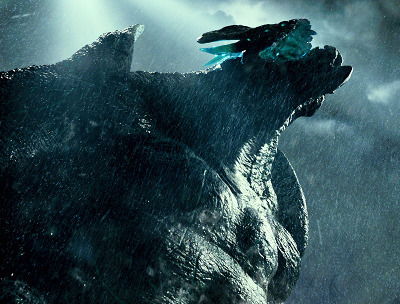 I really did enjoy the look of the Kaiju, and the look of the giant robots were very well done. What I didn’t enjoy is all the drawn out human aspects of the film that were laced with what I call Independence Day speeches given by characters to unify the troops. While I enjoyed the first film, I was in no way a super fan and am looking forward to checking out the sequel at my local theater. On the other side of things, my pal Jeremy Hoyt loved the movie and enjoyed every second of it. I must also say that some of his favorite comics and cartoons in the world are Transformers so I think he just really likes giant robots! Like all good movies, lots of merchandise was released for fans of this film, including the soundtrack, comics, novel, toys, shirts and posters. Personally, the only merch I got was the movie on DVD and the comics. 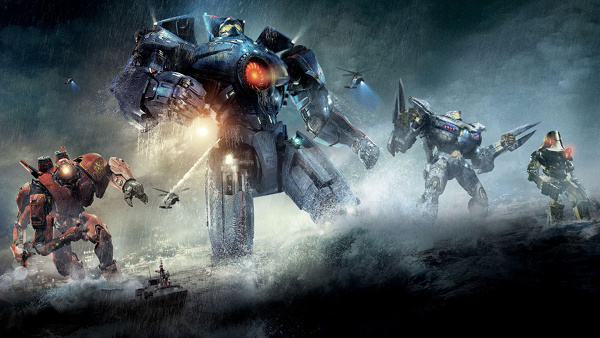 So while I enjoyed Pacific Rim and the world it created, I would by no means say that I am a mega fan but am looking forward to the sequel. 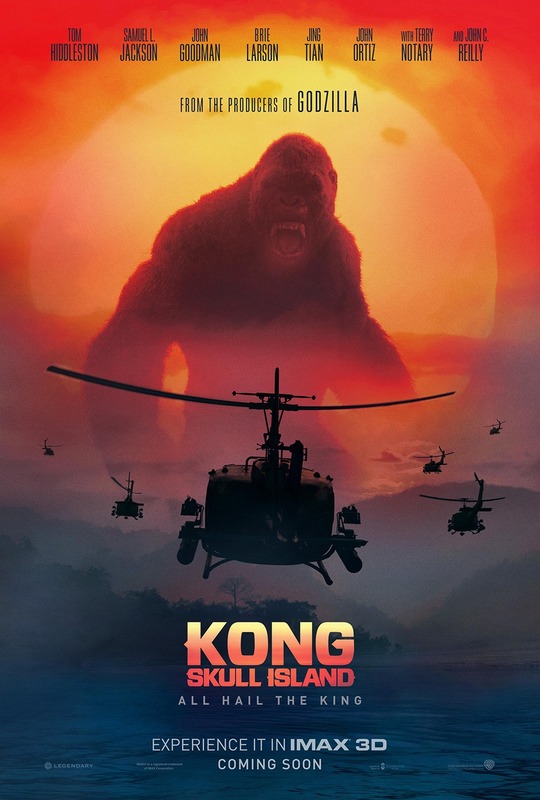 The major threat of this film series are the Kaiju, who are engineered by beings from another universe and are sent to Earth via a portal with the sole goal of killing all of humankind. So in other words, these giant monsters were created to be a biological weapon to use against the enemies of their creators. There are all types of Kaiju, all with different appearances, powers, and strength, and each are major threats in their own ways. Some of the different Kaiju include Knifehead, Onibaba and Hammerjaw, to name a few. These monsters use their giant size and powers to destroy any thing or robot that gets in their way. 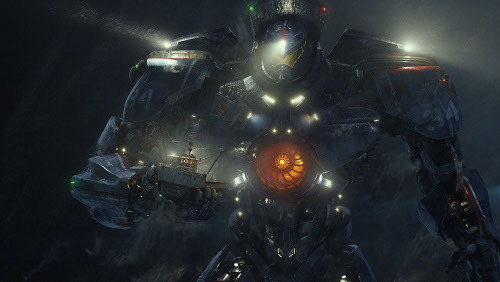 But they can be stopped by the Jaeger, who are the giant robots controlled by two human pilots that are Earth’s only hope of survival. 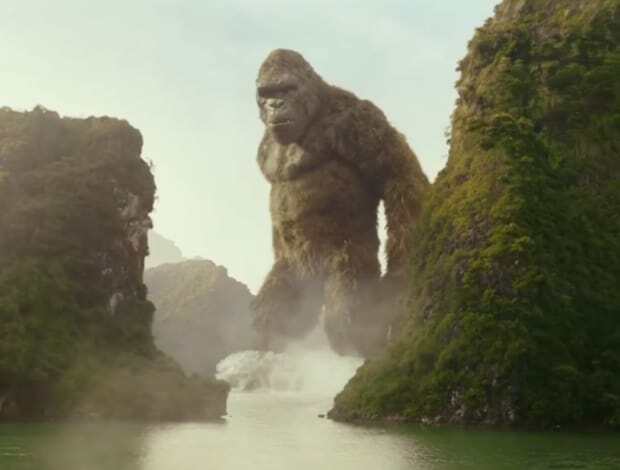 While it’s not been made official (and this is just a theory and wild guess by me), I think soon you will see the Pacific Rim Kaiju and Jaeger mixed into the world of Godzilla and King Kong that Legendary Pictures has established. So as you can see, the Kaiju are very dangerous and very much your typical giant monsters that are infused with powers thanks to science. 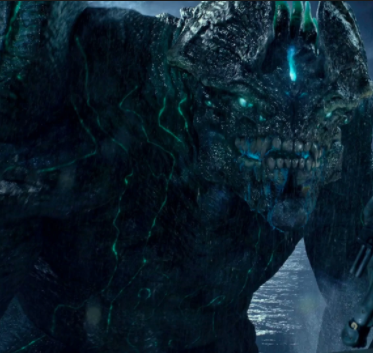 Below are some pictures of some of the Kaiju from Pacific Rim, so check them out. 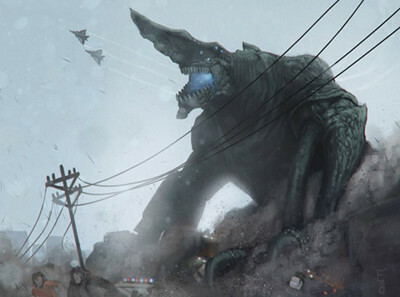 So as you can see these Kaiju are a force to be reckoned with and thank the heavens that for the Pan Pacific Defense Corps and their Jaeger drivers for keeping the world safe from these threats. 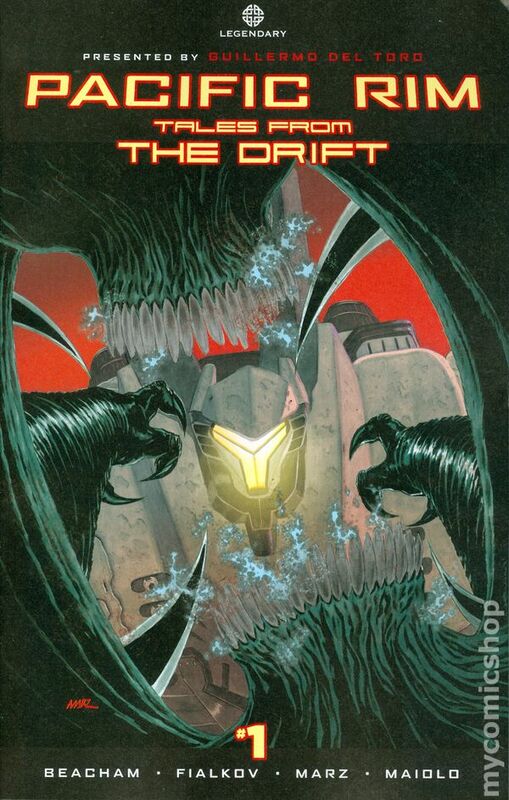 But now we are at the point of this review where we will be looking at the comic books, and I chose Pacific Rim: Tales From The Drift for my reviews. While a graphic novel based on Pacific Rim was released in 2013 called Pacific Rim: Tales From The Year Zero years before Tales From The Drift, I wanted to read a mini series of floppy issues and not a GN. I want to thank Mavericks and Lone Star Comics for having these issues in stock, and weirdly enough I’ve had most of this mini series for years and just now have sat down and read them. Here is to hoping it’s a solid and fun read! I want to also remind you all that I grade these on a star scale of 1 to 4 and am looking for how well the comic stays to the source material, its entertainment value and its art and story. So with that, it’s time to witness the Tales From The Drift! Duc and Kaorl are a husband and wife that control the Jaeger known as Tacit Ronin. 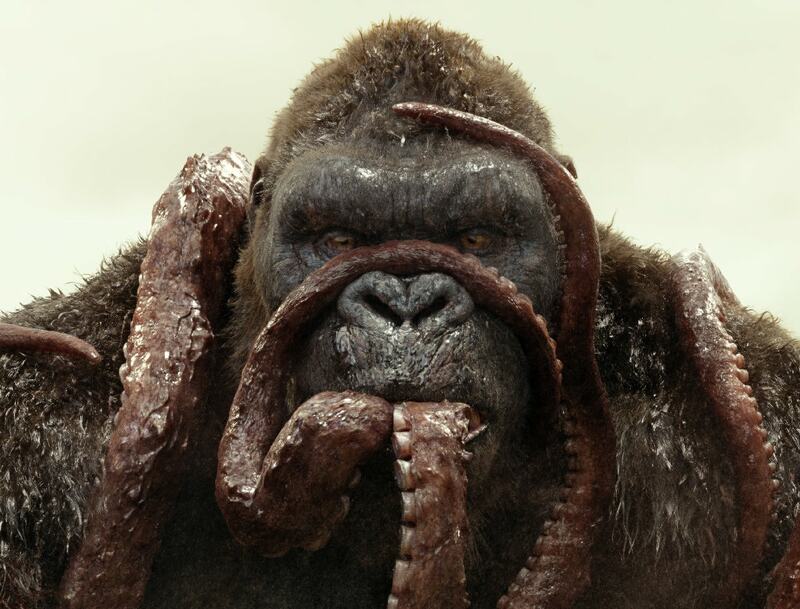 During a fight with a massive Kaiju, they are injured when the beast continues his attack. We flashback to when Duc and Kaorl first meet when Duc manned a helicopter that saved a sub that Kaorl was in that was gathering data on the breach line that the Kaiju use to enter our world. When we cut back to modern times, Duc and Kaorl are injured, and their robot is being filled with radioactive gas. Their Jaeger Tacit Ronin is being dragged into the breach line, and they are clearly loosing the battle and their lives if they do not get help! 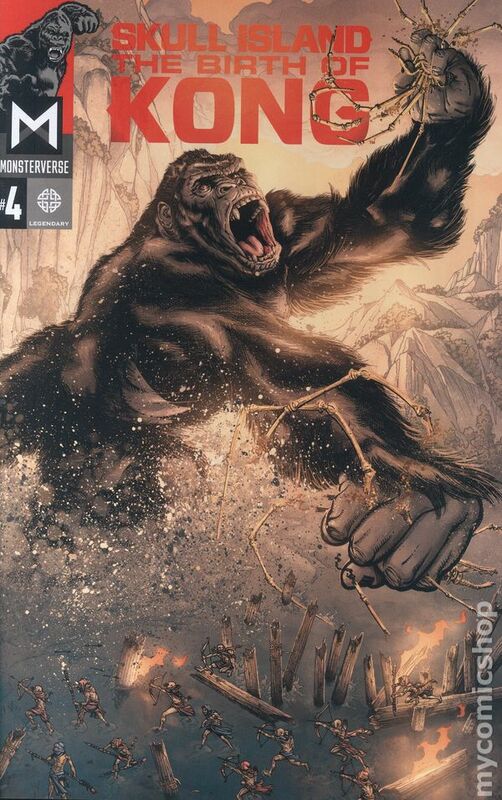 This first issue is a mix of drama, action, horror and romance as we follow a husband and wife team who are in the battle for their lives against a massive Kaiju, who is brutal in his attack. As our main characters are being beaten up, they have a flashback to what looks like their first meeting that lead to their romantic link. Our heroes Duc and Kaorl are likable based on what little we know about them as they both love their jobs, they both would risk their lives to finish their jobs and they seem to really love each other even if their first meeting went bad. 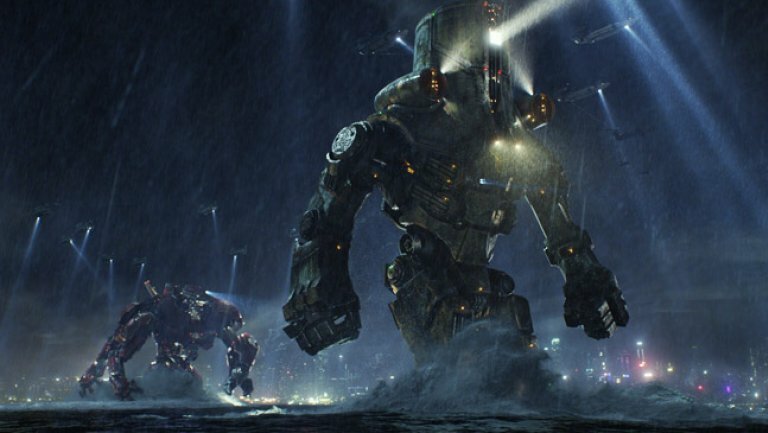 The Jaeger they power, Tacit Ronin, seems like a powerful machine but to be honest, it gets taken down and beat up pretty easily and it almost seems like they should not have been sent in to fight the monster alone. The Kaiju himself is big, mean, filled with hate and does what he was created to do, smashes and tries to kill what ever gets in his way. This issue is very thin plotted, and the story is a little all over the place as we go from modern to flashback to modern to flashback and so on with no clear reason or explanation. The characters seem like wooden generic action characters that say silly lines to each other and have over all bland personalities. The battle between Jaeger and Kaiju is one sided and makes our heroes seem like failed fools as they seem lost for the most part on how to repower the robot and get the toxic gas out of their area. Now I know it sounds like I didn’t like this first issue, but I did enjoy it as it had good art from Marcelo Maiolo, who has a very modern independent comic style. 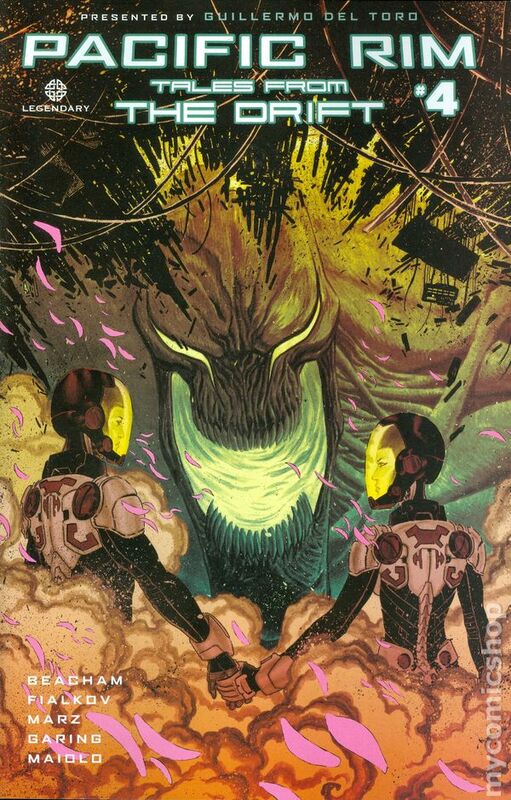 The cover is also well done and very eye catching for fans of the film, and seeing a giant robot fight a giant monster is still cool no matter how one sided the fight is. Over all, this is a middle of the road comic that is not terrible and is not amazing. Duc and Kaorl are in serious trouble as they are slowing losing energy from the gas that has filled their control room, and the Jaeger they command Tacit Ronin is taken a beating. The pair drift in and out of consciousness as they flashback to being forced to act as a team in order to fight the giant Kaiju that threaten the world, and how at first they could not stand even being around each other but they ended up coming to respect each other. Back in current times, the Jaeger Coyote Tango comes to their aid so they can retreat and get out of Tacit Ronin as soon as possible so they do not die from the gas. But when Coyote Tango starts to lose the fight with the Kaiju, Duc and Kaorl use all the strength they can in order to attack the Kaiju with one massive blow. But this act of heroism leaves Duc passed out and possibly dead! This second issue has our heroes at death’s door from not only the Kaiju’s attack but also because the toxic gas is zapping them of life! The plot in this issue is paper thin and has our heroes getting their butts kicked and thinking back to them being brought together to be a team and then risking their own lives in order to help their fellow Jaeger drivers. 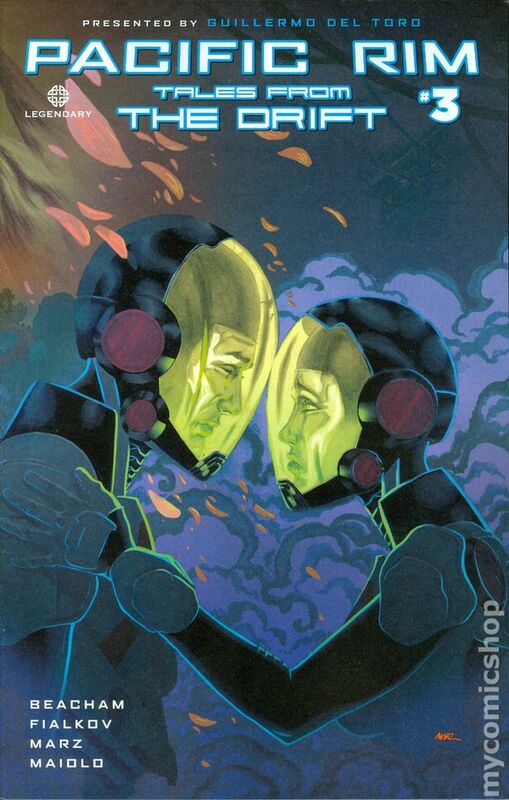 Duc and Kaorl in this issue are pretty much still cool characters who lack an real depth besides the fact that now they care for each other but in the past they did not. 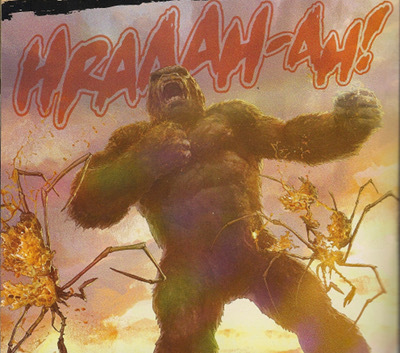 The Kaiju is doing what he does best, trying to kill and destroy, is just like the last issue. Coyote Tango is there to help, but we really know nothing about him nor do we even get to see who his controllers are. This second issue, while entertaining, is very weak on story and delivers nothing really new to the story as most of this just feels like rehashed plots from issue one just spiced up a little with different situations. 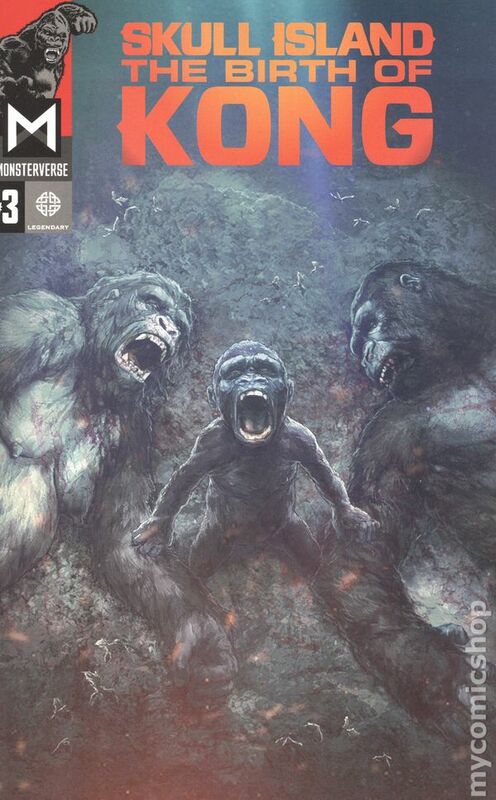 The cover for this issue I feel is a little weak and does not really deliver in the eye catching department and the interior art by Marcos Marz seems just slightly more sloppy and rushed in this issue. Over all there’s not much to talk about as this second issue just kind of putts along and delivers another middle of the road comic issue in this mini series. Duc and Kaorl have survived the battle, but their powerful blow to the Kaiju has left both Jaegers, the Coyote Tango and Tacit Ronin, down for repairs. While recovering in the hospital, the husband and wife team are told by Captain Stacker Pentecost that they have been discharged from the Pan Pacific Defense Corps as going back in to control a Jaeger would overload their brains and kill them. As Kaorl and Duc try and deal with early retirement, a massive Kaiju starts to attack and destroys the only ready Jaeger, Victory Alpha, with ease. With many of lives of innocent people in the balance, Stacker must reinstate Duc and Kaorl who have volunteered to put their lives on the line in order to wait for back up from Japan to save the lives of many. 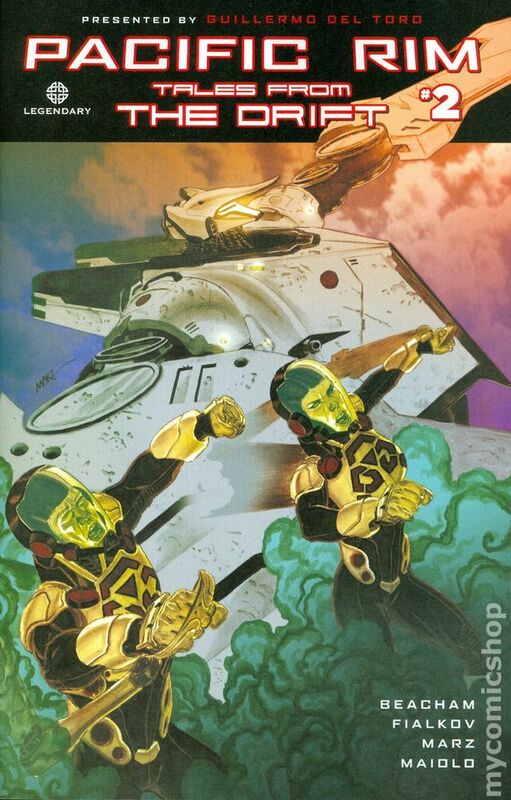 This third issue sets up that our heroes Duc and Kaorl all in one day are forced into retirement due to injury that would leave them dead if they try and pilot a Jaeger to, by the end, forcing their old boss to put them back on duty in order to save innocent lives that are now in danger because of a Kaiju attack. The story in this issue is a little better as it gives our heroes a real time to shine as they would rather die themselves than to stand by and do nothing as people die around them. It’s very weird because while they have not flushed out really real personality for Duc and Kaorl, as a reader, I have found myself cheering for them in every issue! Captain Stacker Pentecost is a man with lots of pride and hates the fact that he had to discharge his friends and later has to risk their lives in order for them all to do their jobs. Victory Alpha, the only Jaeger in the area and the only hope for the people around, is truly outclassed as the monster smashes him to bits. A team of a brother and sister are controlling him, and they do manage to escape the robot before it’s smashed! The Kaiju in this issue is called Ragnarok, and he is one bad monster who has multiple arms and is ready to smash and kill anyone that gets in his way. Nice to see that the plot for this third issue at least thickened and seemed to have gone somewhere different and, as I stated before, gave the main characters a little more personality. The cover for this issue is kind of bland and reminds me of some lame space romance title Image Comics would have released. The interior art once more is done by Marcos Marz and is good with once more a few panel and pages seeming a little rushed. Over all this was once more a middle of the road issue in this comic mini series that is nothing too special. Duc and Kaorl enter Tacit Ronin and go out to face Ragnarok, who is also ready for another battle. Our heroes give it everything they have and battle the giant beast pushing it back to the water and away from the city all the while hammering and cutting the giant monster trying to slow him down. 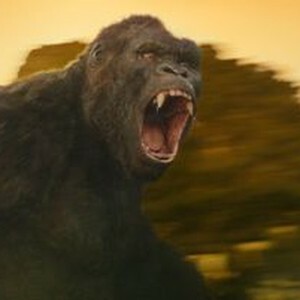 But sadly as they fight the monster, they themselves are taking massive damage and are slowly killing themselves. 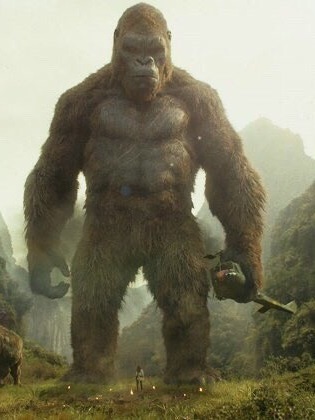 As they get weaker, they know they have to kill the monster and do just that by cutting him in half, but this brave act also leaves them dead and the world lost some true unselfish heroes. Our tale ends with the pair being buried, and the world knowing what they did for them. This last issue is just one massive battle issue that has lots of splash panels and fight scenes that are chaotic, and at times you are not so sure what you’re looking at. This final issue’s plot has our heroes going into war one last time and giving their lives in order to save others. I have to say this because it’s really how I feel, Tales From The Drift could have been wrapped up nicely in two issues but seems to have been dragged out so that Legendary Comics could get enough pages in order to do a graphic novel as this mini series plot was super thin and lots of pages seemed to be taken up with filler and plot elements that went nowhere with the flashbacks being the worst for this. Duc and Kaorl are cool character who were great heroes in the story, and while likable, they sadly fell into being generic style science fiction heroes. While they died heroes, they were just not written well over all. The Jaegers felt like after thoughts in this series with all of them until the last fight getting their butts kicked and all seeming like they would never have stood a chance against the monsters. Another thing I hate to say is while Ragnarok was a powerful Kaiju, his look was super cheesy and reminded me of a Power Ranger baddie. The cover on this issue is pretty cool and looks more like two astronauts looking into the face of Satan in Hell than a moment from Pacific Rim. Marcos Marz’s art in this issue is kind of bland and was nothing special, and while some might think it’s good, it’s definitely not a style I can say I really like. 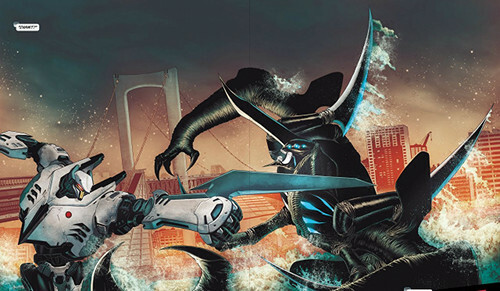 Over all as a long time comic reader who really enjoys comics based on films, I have to say that Pacific Rim: Tales From The Drift was nothing special and was kind of a drawn out bland generic story that was made in order to cash in on the film’s fans and to get a graphic novel in comic and book stores. 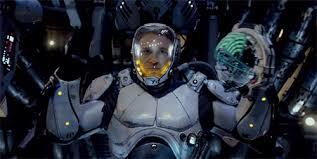 While I didn’t hate this mini series, I can’t say I was a fan and would only suggest it to diehard fans of Pacific Rim. Check out the artwork below to see the style of Marcos Marz, and see what you think of his work. 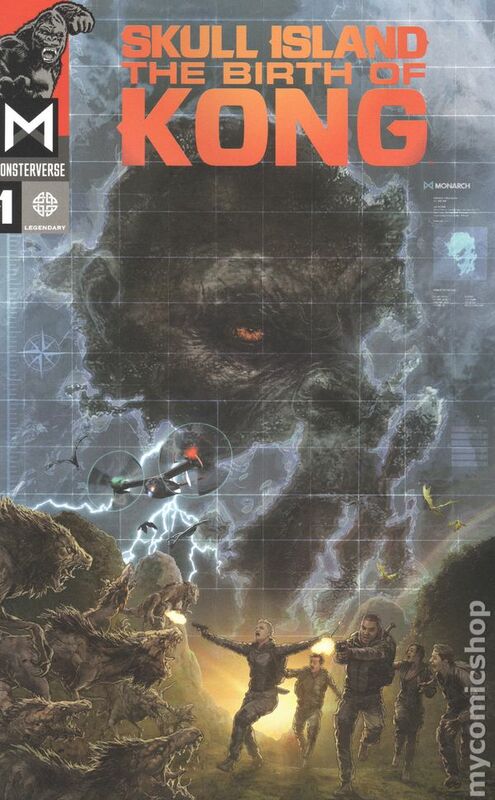 While I feel that this comic mini series does fit well into the movie universe that Pacific Rim has created for itself, I found these comic issues to be very slow and have a lackluster plot. But while this comic series was not all that great, I am still very much looking forward to seeing Pacific Rim Uprising at my local cinema. It’s time to leave the Jaegers and Kaiju behind as our next update will be another in my “From Horror Movie To Horror Comic” series and will feature the newly released comic based on the 1990 film Ghoul School that was released by Seduction Cinema Comics under their new branch called Camp Comix! I am very much looking forward to this update as I have always enjoyed this sadly mostly forgotten shot on video gem! So until next time, read a comic or three, watch a movie or two and as always support your local Horror Host! See you next time as the bell is ringing and Ghoul School will be in session!